The Prius series of hybrid cars manufactured by the Toyota motor cooperation, with its strong reputation for reliability and durability, has been a commercial success with global cumulative sales reaching 4.8 million units. As of September 2014, being sold in almost 80 countries, it has becomes a household name. While many of the hybrid models of other companies are still in their early stages, the Toyota Prius has already gone ahead into the third generation. 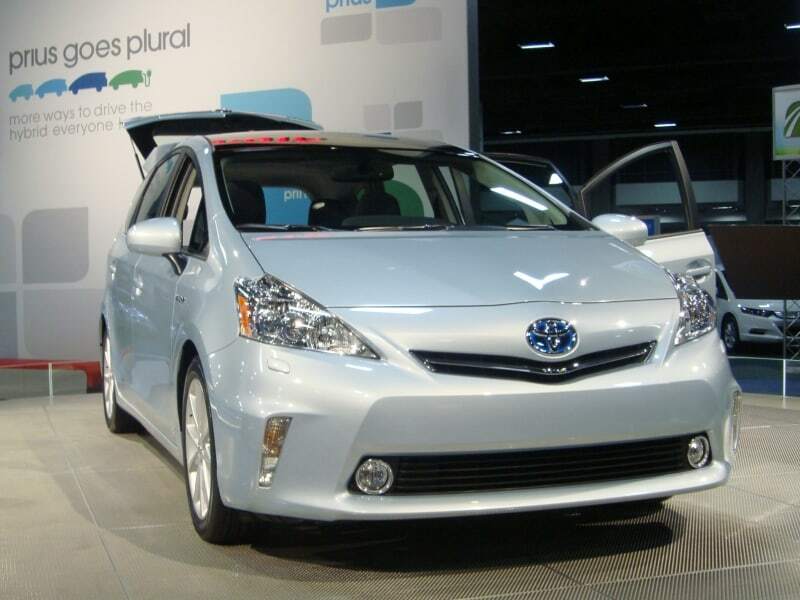 First unveiled in January 2011 at the North American international auto show, the Prius V continues the legacy, possessing the same full hybrid gasoline–electric engine, and is derived from third generation Prius models. It comes with 50% more storage capacity than the original 2010 model, is the first to deviate from the standard Prius platform and is the biggest model so far in the Prius series. 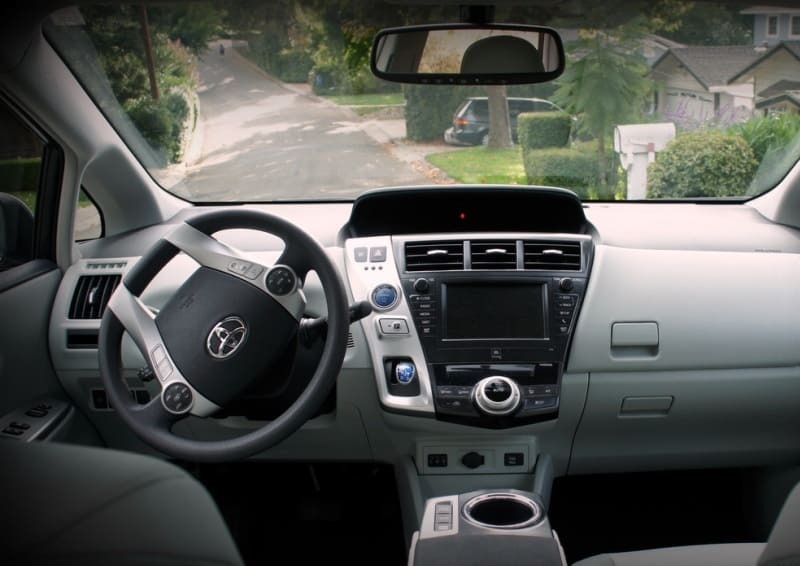 Prius V also comes packed with loads of new high tech features such as the new Toyota Eutune Multimedia system. As of September 2014, about 498,000 units have been sold globally with Japan being the main market. With a price tag of $26,550 in the U.S, it is slightly more expensive than other hybrid station wagons on the market but in the long run, is more economical. The design has been slightly updated and given a new face-lift to garner the appeal of the younger audience. The Prius V has also garnered worldwide reorganization, being among the top five finalist of the 2012 green car of the year (green car journal) and awarded the “Best Car to Buy” by Green Car Reports in 2012. The Prius V comes in three regional version, the Prius a (Alpha) for Japan, Prius + for the European market and Prius v for US and is available in three trims levels, the two 5dr, the three 5dr, and the five 5dr wagon. 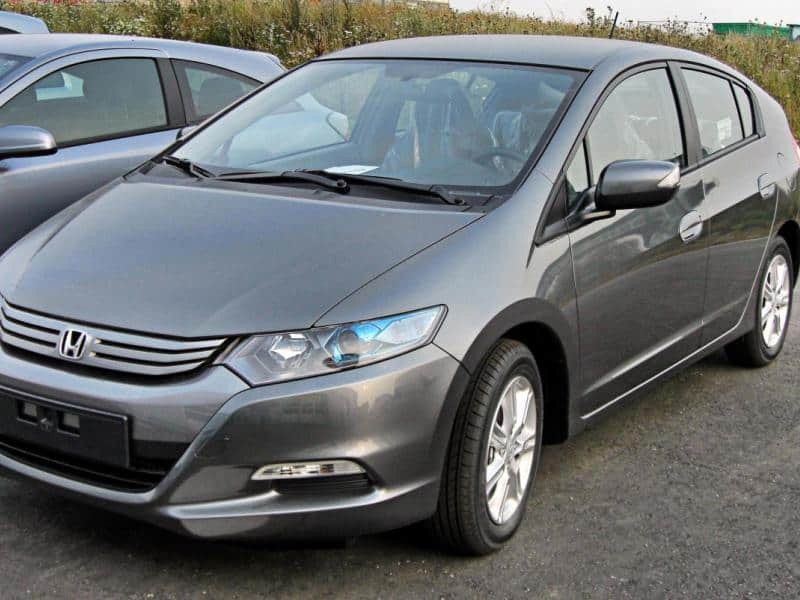 In this review, we have primarily focused on the standard U.S variant of the two 5dr trim. 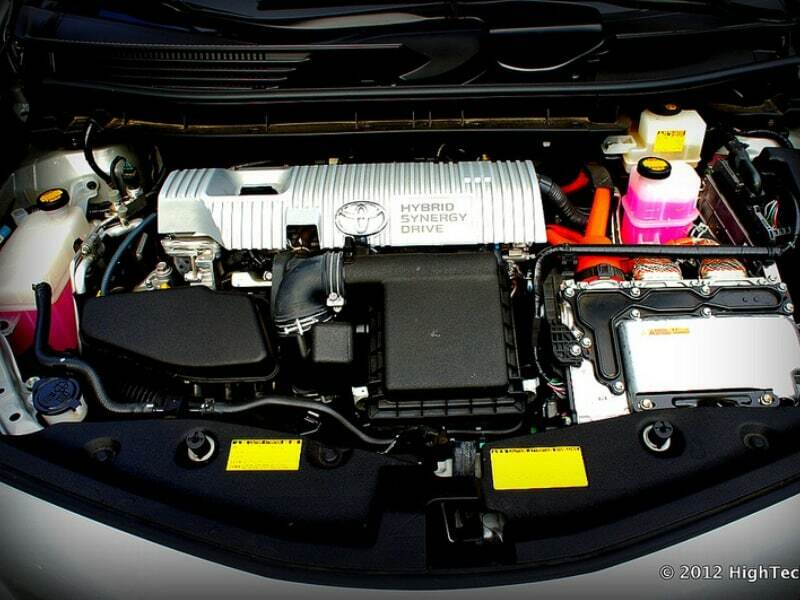 The Prius V employs the hybrid synergy drive containing a 1.8 liter Atkinson cycle gasoline inline-four engine and a 201 volt Nickel –metal hydride battery pack, the same used in the a standard Prius. This gives it a maximum power output of 134 horsepower and a torque of 105 lb. Moving on, you get a standard 2-speed Continuously Variable Transmission and three different drive modes for maximizing power without compromising fuel efficiency. In fact, the car has been designed with fuel efficiency in mind rather than speed with its engine only being able to sustain a maximum speed of 103 mph and a 0-60 acceleration time of 10.3 seconds. Having said that, the Prius V offers a smooth drive on most roads. In terms of fuel economy, it outperforms the average market car quite easily going at 44 MGH in an urban landscape and 40 MGH on the highway. 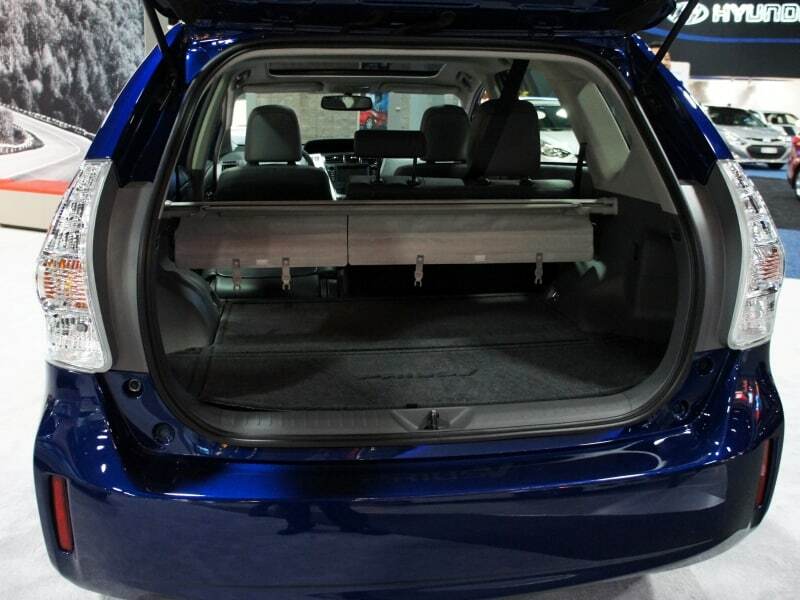 According to the U.S. Environmental Protection Agency, the Prius V was ranked as the most efficient mid-sized station wagon of the model year 2012. This makes it one of the best cars to buy for any environment-conscious individual. Toyota does introduce some improvements to the car’s power train such as a new “Pitch and Bounce” motor control, which automatically comes into action on wavy roads. Style is not the first word that comes to mind when we talk about this car. 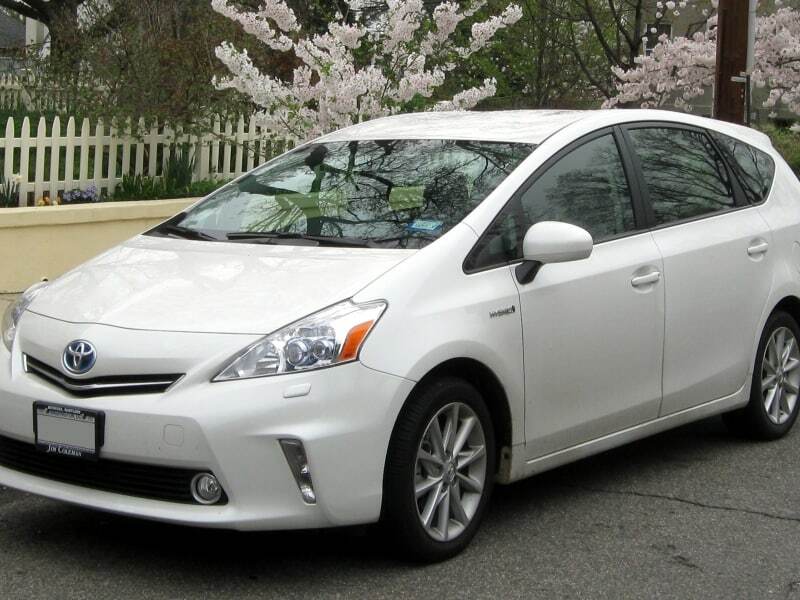 The Prius V does not depart much from the 2010 model series in term of exterior styling. The exterior is rounded and more aerodynamic with the roof more extended and the rear having a specially designed roof spoiler to improve air flow to reduce the drag coefficient to 0.26. Compared to the previous models, it includes an updated headlamp, a unique front fascia, and a new bumper. The grille gets a new insert while the head lights sports a new meaner look. With the car available in eight color hues including new ones, such as Attitude Black Metallic and Absolutely Red, it appeals to the appearance preferences of a wide range of car owners. The rims are made of lightweight 16’’ aluminum alloy. The Dimensions of the car are 181.7’’ (L) by 69.9’’ (W) by 62’’ (H) with a wheel base of 109.9 in making it a car at the higher end of the mid size category. The interior is quite roomy and is elegantly designed with a family oriented approach with plenty of storage options though the seating position could become awkward for tall drivers. These include cubbies, about 67.3 cubic feet of cargo capacity, 5 fabric trimmed heated front seats and spacious backseats. Drivers have found the front seats to be comfortable and offering plenty of legroom. The majority of controls are conveniently placed at the middle of the dashboard. The 4.2 inch screen displays most of what is required including an odometer, clock, climate control settings, fuel economy, cruising range, hybrid system information, energy monitor, and navigation indicator. The Prius V comes with all the features of previous models and then some more, including the much coveted cup holder! It offers four driving modes (Normal, Power, Eco and EV), as well the smart key, a back-up camera, smart key with push button start, an electronic shift lever, and a Hill Start Assist Control (HAC), similar to previous models. 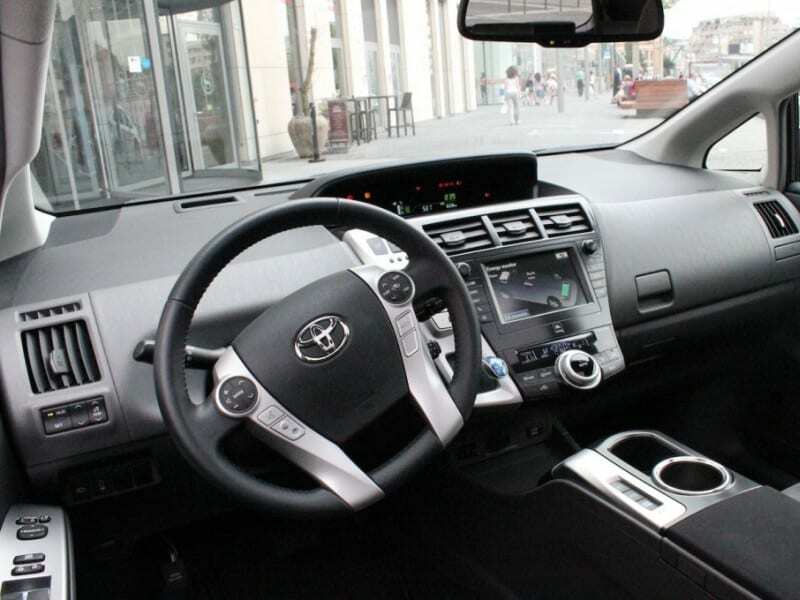 New features include the Toyota Entune Multimedia System and a panoramic sunroof made of lightweight-resin (about 40 % lighter than glass of same size). The Pre-collision system where the front seat belts retract and brakes are applied whenever the system determines that a collision is imminent is a nifty feature. The new Eutune Multimedia System provides info on things like weather, traffic, and even tocks and when connected to the eutune mobile app via USB cables. You can also use a browser among other services. There are relatively few competitors it needs to contend with since the number of hybrid wagons in the market is low. Among its chief competitors include other hybrid vehicles like the cheaper Honda Insight and the Ford Escape SUV, however the Toyota Prius still dominates the markets with the average unit being sold every 13 days after hitting the showroom. But Toyota’s decision to keep the same drive train as the 2010 model in newer models could cause other manufacturers to dent its stellar sales performance. If speed is your thing, then you are better off buying something else. The Prius series is not for you. On the other hand, if you are after a good family car with a superb fuel economy and great cargo storage capacity, than a Prius v is ideal. You can get better speed and mileage by investing in newer models like the quicker and smaller C- max which come in similar prices. But overall, the Prius v offer good value for money.